From 5K runners to marathon participants, toe problems happen to all levels of runners. Many runners suffer from foot issues like hammertoes, bunions, plantar fasciitis, and neuromas, and have found the magical touch of toe spacers. These are toe separators that sit between your toes and spread, stretch and even exercise all your tendons, muscles, joints and metatarsal ligaments. Not only do toe spacers work wonders for people with all sorts of foot issues, but they are also becoming progressively more popular in the world of sports. Toe spacers meant for running help reduce friction, improve your balance and gait as well as enhance the overall posture and appearance of your foot. 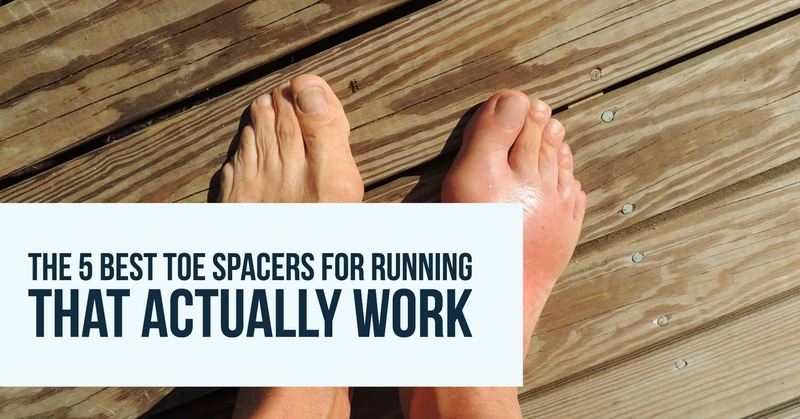 You can check out what the experts say at Foot Pain Expl﻿﻿a﻿﻿ined - If you’re looking to make all the way to the next finish line safely and pain free of the feet, then here are the 5 best toe spacers for running that are actually worth purchasing. Finally, a super safe and all natural way to reverse countless years of damage to your feet. Due to hectic lifestyles and wearing the absolute wrong footwear, you directly contribute to killing your feet. The YOGABODY Naturals Toe Spreaders & Separators let you stretch, align and restructure your feet without all the nonsense about surgery and medication. How does it achieve this? I’m glad you asked. These are premium set of toe separator for running. Fast Pain Relief: from hammertoe, bunions, overlapping toes, and painful feet. Awesome Toes! naturally stretch your feet. Loved by anyone who wears high-heeled shoes, work boots, or spends all day standing. Podiatrist Recommended Corrective Spacers: developed by yoga teacher, and endorsed by medical doctors and podiatrists for self-care. Aside from the fact that these toe separators reverse years of damage, they also offer plenty more benefits. People with buckled toes will find that these spacers unbuckle things quite well. Additionally, they can be worn either at home for relaxing, or under your shoes while running. Thanks to the fact that the Yogabody Naturals Toe Spreaders & Separators come as a single unit for each foot, the comfort levels are definitely something to note. Whether in your shoes or not, the toe spacers remain firmly in place even under heavy pressure and activity. The different sizes available also let you select the most appropriate fit for you. Yogabody really put a lot of effort into their natural toe spacers. However, the price might be a bit higher than we are used to. Most importantly, they have over 800 reviews in Amazon. When was the last time you left a review on Amazon? It's ok, most people don't. So when 800+ people say these are the best, well I would take their word for it. This is the set that I went with as as they are specifically designed for runners. After a grueling run, it is of the utmost importance to take care of your feet and help them heal and recover as fully as possible. I learned that the hard way as I would just come home, shower and put other shoes and go about my day. Little did I know that I was actually not allowing my feet and toes to recover properly. I explain some of the benefits of wearing these below but one of biggest tips is that my toes actually help my posture which improves my running. These are truly the best toe spreaders for runners. If you want to recover after a run and get ready for the next 5K, then I recommend the Runners Glory Gel Toe Separators. Here’s why they come in handy. There’s no question about it. Theses gel Toe Spacers are a very simple design. 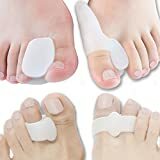 Apart from a perfectly contouring design, the spacers help reduce my toes rubbing against each other as a result of the very simple and basic design. You will notice that the Runners Glory toe separators have perfectly fit spaces. 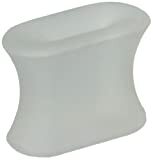 This ensures that your toes get a good stretch and all the space they need. The quirky design also eliminates blistering and bunions while offering faster recovery to runners. Not much to be completely candid. They did exactly what I had hoped for. The do fit inside your shoes and the simplistic design offers substantial relief and recovery after grueling runs. These are truly the best toe separators for runners. If your main issue while running a 5K is overlapping toes or getting blisters, small cuts inside of your toes or bunions, then you will appreciate the protection that comes with the Pedifix Gel Smart Visco-gel Toe Spacers. These spacers come as individual units that are meant to fit in between each toe as selected by the user. I’ve used these spacers from Pedifix before and here’s what I found out about them. For health and hygiene reasons foot products are not returnable. Gel is enriched with vitamins and mineral oil to soothe and moisturize skin. Interchangeable for left or right foot. The Pedifix Gel Smart Visco-gel Toe Spacers are among the most popular toe spreaders thanks to their unique design. Not only do these spacers come in an array of different sizes, but each spacer acts as an individual and can be removed when not required. The sizes also get smaller as you move along from the big toe to avoid overlapping and close contact. The Pedifix Gel Smart Visco-gel Toe Spacers incorporate an additional feature that helps runners even more. The spacers are built with a vitamin-enriched gel that slowly releases minerals to moisturize and soothe the skin. This prevents any chafing, friction, and fatigue from hours of running. These are a solid choice as a toe separator for runners. 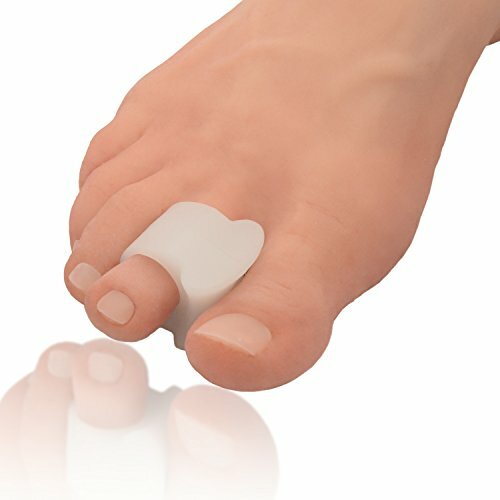 While these toe spacers from Pedific come in a pack of 4, users have complained that their sizes are not a perfect fit for everyone. If you’ve had your fair share of marathons and treks, then you know exactly how painful and annoying bunions can be. Bunions and running do not go well together. Fortunately, there are brands that have given more attention to this aspect of running. I’m talking about DR JK and the Bunions toe separators for Comprehensive Bunion Relief and Ball of Foot Cushions Kit. So why do you need an entire kit? SATISFACTION GUARANTEED. Immediate Pain Relief Results and Prevent Surgical Treatment. Toe Straightener made from stretchable and soft medical grade gel. One size fits most feet. easy to clean. As stated, the kit is specially made for runners who suffer from the occasional bunion, Hallux Valgus, and Ball of Foot cushion. However, I also like the fact that I can use it for performance enhancement while running too. These toe separators alleviate friction and irritation when running. Dr. JKs bunion kit comes with a broad range of highly useful products and accessories. In fact, the relief kit is by far the most comprehensive and well-rounded toe product I’ve seen in a while. In addition to getting 5 pairs of toe separators, you can also look forward to protectors, aligners, toe strengtheners as well as relief separators. The items are made with stretchable and super soft medical gel grade for unmatched comfort. So if you are running with a bunion these might be a good fit for you. Personally, I felt that some of the pieces such as spreaders and separators were a tad clumsy and uncomfortable in particular shoes. So make sure your running shoes have a wider toe box. If you’re going to be taking part in a long run, then it pays to know what brand you can trust your toes with. Dr. Frederick's﻿ toe separators are among the most highly ranked spacers that restore your toe anatomy and normal foot function. 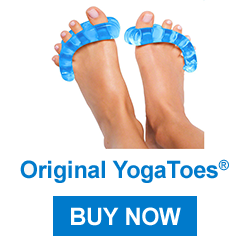 These toe spacers also reduce cases of blistering, bunions, plantar fasciitis, and many more. But what makes Dr. Fredericks worth my time as a runner? SET OF 2 STANDARD SEPARATORS: Need a refill of your favorite pair of gels from our 8 Piece Kit? Buy only the pair you want. Made from super soft flexible gel. DESIGNED FOR A DIVERSE LIFESTYLE: We know that you do more than just sit around all day. 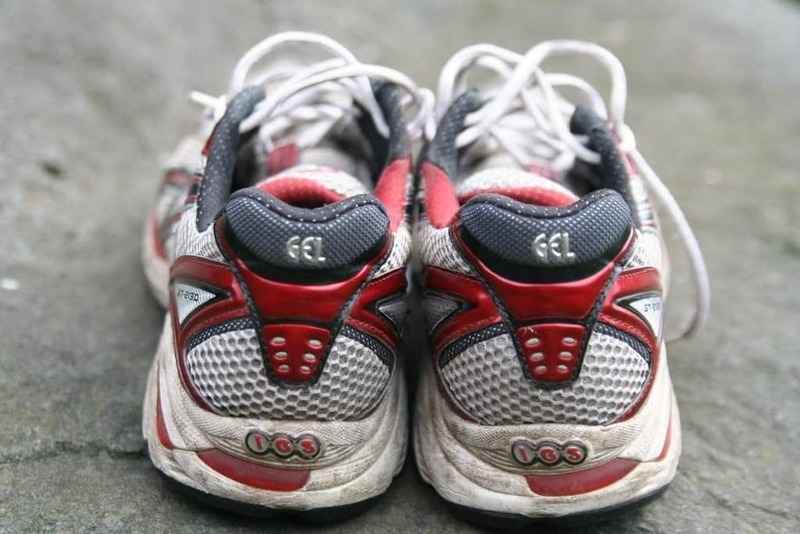 Our gels are designed to work with a variety of shoes. POSTPONE YOUR NEED FOR SURGERY: Nothing can replace corrective bunion surgery, but our cushions, pads, spacers, and shields often provide enough relief that you can get back to your normal routine if you are hamletive about your options. Stop struggling with foot pain and find immediate relief with our standard shields. These particular toe spacers are made of medical grade silicone; making them durable, comfortable and quite flexible. All credit goes to renowned sports podiatrist Dr. Fredericks who invented these beauties. His main aim was helping athletes align their toes in the correct position and mimic a natural barefoot position. The also help help with hammer toe from running. Unlike some of the average, clunky toe spacers that make walking an impossible task, these﻿ spacers are actually small and compact. This allows them to be worn inside the shoes while walking or running without any hindrances. The quirky design allows long distance runners to get all the flexibility they need to run without fear of blisters or painful bunions. All in all, these are some pretty good toe spacers perhaps even the best toe spacers for running. But the price might prove a little too steep to receive relief for only two toes..
With credit to formal shoes, high heels a whole bunch of modern footwear styles, the human foot has been contorted to unnatural shapes. Combine all those years of abuse with current foot issues, and you have a recipe for disaster. Whether you’re an active person or not, chances are that you’re feet have a thing or two to complain about. From arthritis to plantar fasciitis, blisters to some pretty painful bunions, there’s really no shortage of foot problems. Fortunately, preventing and providing relief to some of these problems is as easy as using toe spacers. As the name suggests, spacers just separate your toes and provide relief against friction, overlapping, and a host other issues. But what’s most interesting is how this little device has taken the sports industry by storm. From professional marathon runners to the casual jogger, everyone wants them. So, do these toe spacers offer any advantages to athletes? Whether you like it or not, spreading your toes wide works wonders for your posture and balance. This, in turn, translates to more effective toe offs, and a maintained balances all through the field. A wider running surface also means less pressure and fatigue when running. Here is an article that we put together that shows how to have perfect running form. It’s no secret; most of the injuries caused as a result of running are because of wearing the wrong shoes. However, others can’t be avoided. So whether you have corns, blisters, bunions, plantar fasciitis, or just looking to give your feet some tender loving and care after a run, the best toe spacers will have you sorted right out. Details on all the foot issues that toe spacers offer relief to can be found here. Looking to enhance your running performance? Or maybe you just want to provide instant relief to your beaten walkers. Whatever the case may be, you’re going to need to know which toe spacers will work best for you. If you’re searching for the best toe spacers for running, then here are a few factors to consider. Size. Since you will be wearing your toe spacers inside your running shoes most of the time, then it goes without saying that they must be small enough to fit. If they’re too big, they won’t even get halfway up your shoes. Toe separators for running are small, compact and very inconspicuous. Types. Toes spacers come in all sorts of types. You’ve got the large wooden and hard plastic spacers that are more suited for home use. And you’ve got others made of gel, silicone and softer materials that are a favorite among runners. If your run also involves steep hills and rough terrain, you might be well suited by individual toe spacers as opposed to single units. There you have it; now you not only know why everyone’s been beating you at the 5K, but why your feet have been in the worst shape possible. Get yourself one or more of the above best toe spacers for running and change all that today. One more thing; remember to also buy a running shoe with a wider toe box and more than sufficient shock absorption. This will ensure your toes have all the space they need as well extra security against any road rage. My job’s all done here, the rest is now up to you.